There was a huge Marvel movie that opened a week ago, and a popular TV show just finished its second episode of the current season. 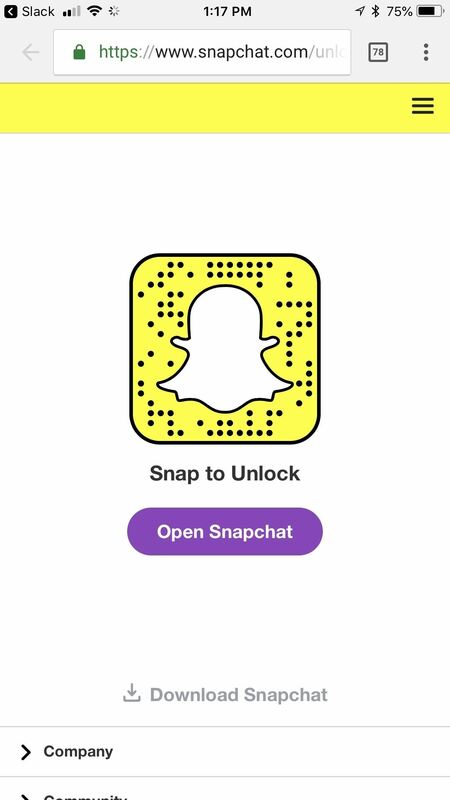 Both of these facts translate to more cool Snapchat lenses to try out on your iPhone or Android phone, thanks to Snapchat's Lens Studio — where anyone can make a sweet lens. Aside from pop culture, there are are a few cool new lenses over this past week, ending May 4, you should know about. 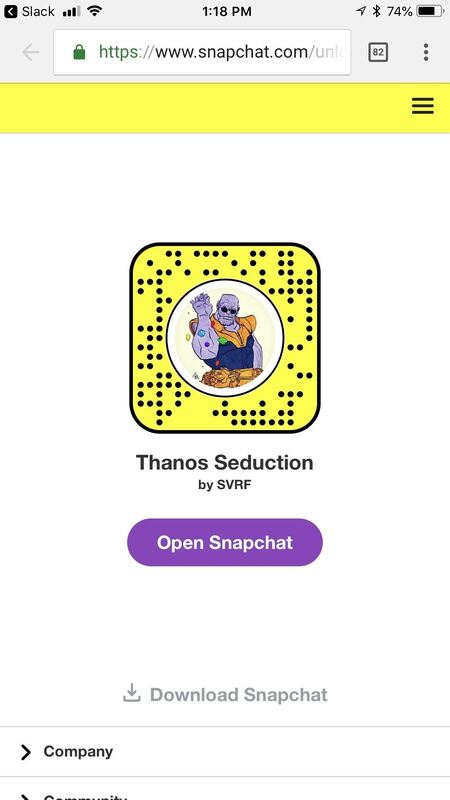 If you've never used a user-created Snapchat lens, simply scan a Snapcode or tap a link to open one up. Both options are included below, so whichever you prefer isn't an issue. And if you love these lenses, then ship them to all your friends so they can use them also. While all of these lenses are labeled as "lenses" because they were created in Lens Studio, some are more like filters where the image is a static overlay or a video takeover of the screen versus an augmented reality three-dimensional object. 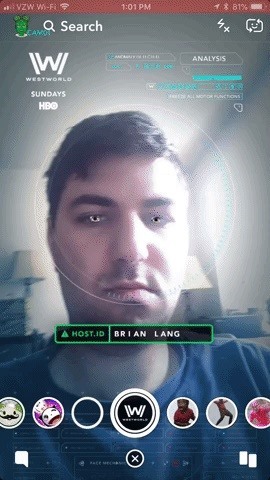 HBO quietly released a Westworld lens that allows you to really feel like one of the hosts of the iconic park. Just in time for Season 2, this lens plays the show's memorable theme while showing what you'd look like as a first-generation Westworld robot. As opposed to other unlockable lenses, this one only sticks around for an hour, so be sure to check back here often to re-unlock the lens. 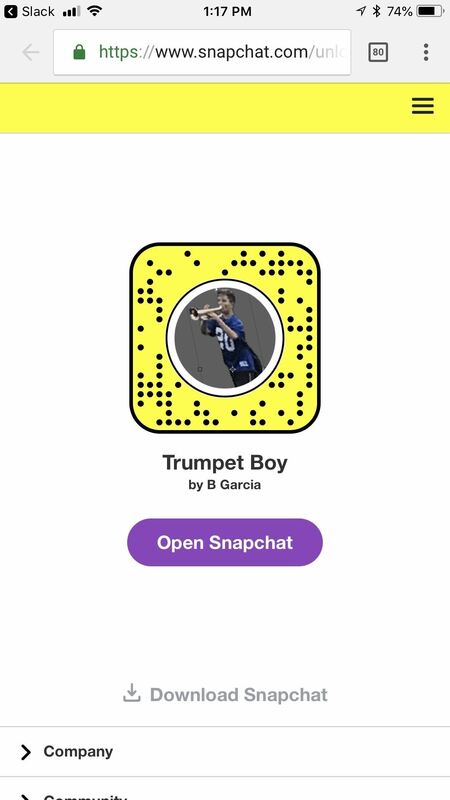 The Trumpet Boy meme has recently risen to the forefront of meme culture, as people began manipulating him to play along with songs like "Africa" and "Hooked on a Feeling." 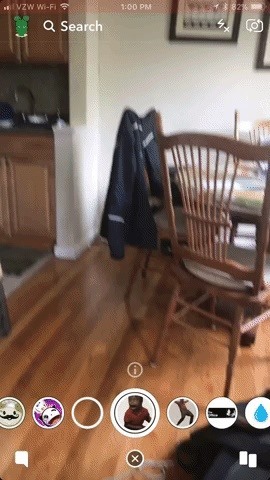 This lens by B Garcia moves him all around for you, but you can, of course, drag him around the room as well. Fortnite had an event last month called Boogiedown where contestants entered videos of themselves dancing in a contest, with the hopes that it would become an in-game emote. Orange Shirt Kid became a sensation, but he didn't end up winning. 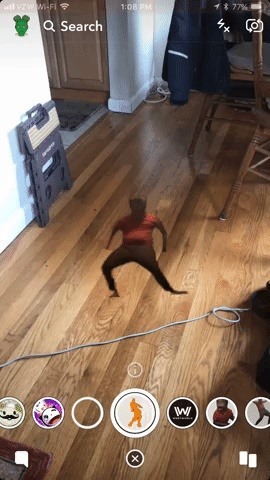 Luckily, Epic Games realized their mistake and made his dance an emote anyway, called Orange Justice. 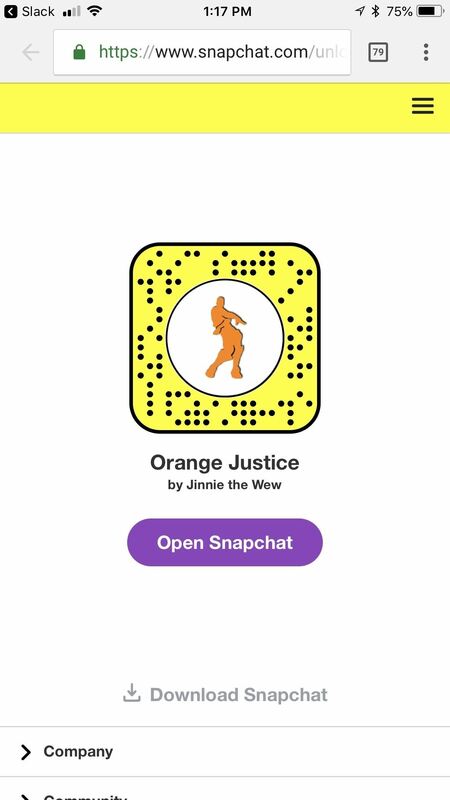 This lens by Jimmie the Wew embodies the dance perfectly. 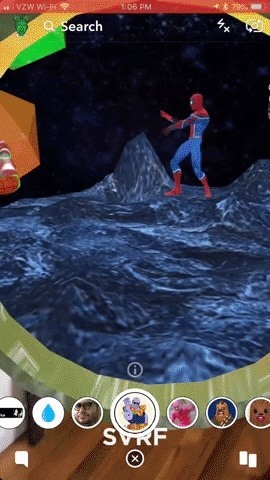 This lens by SVRF features a portal with a few dancing Spider-Men inside it. Now, I haven't seen Avengers: Infinity Wars yet (admittedly), so I have no idea how these Spider-Men connect with the movie. They probably just don't. Still, I love this lens and my new fake Spider-Man friends. 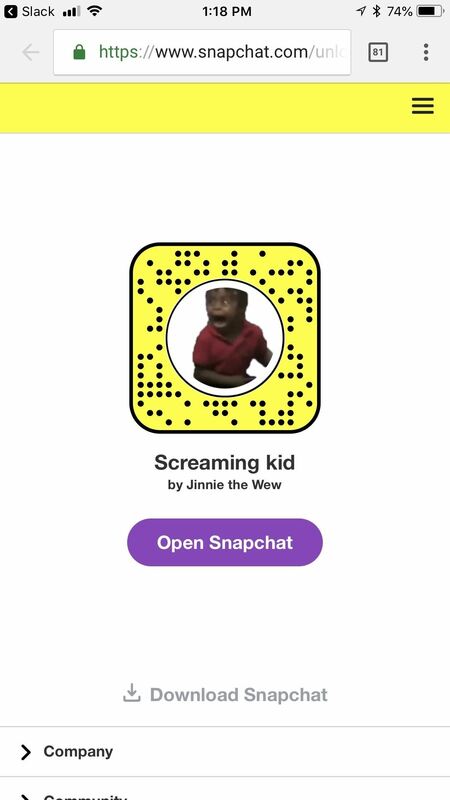 This Screaming Kid lens by Jimmy the Wew is both hilarious and inventive. Originally born out of a kid being terrified of the Easter Bunny, it's a versatile lens that can be applied to a variety of situations. To use it, simple flick your phone quickly to the left or right (or you can tap the screen while you're filming). Be sure to check out last week's lenses as well, and if you think I missed out on some great ones from this week — let me know in the comments below.